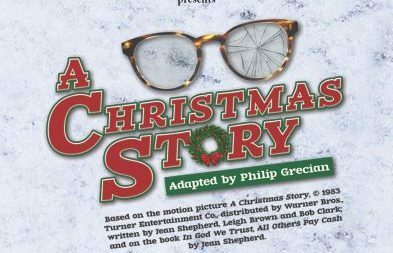 BAR HARBOR — Acadia Community Theater will perform “A Christmas Story” at 7 p.m. Friday, Dec. 7 at the Criterion Theatre, 35 Cottage Street. Tickets available at the door or in advance at www.criteriontheatre.org. $10/adult; $8/student, senior, active military; $6/child ages 2-12; free for children under age 2. Join Ralphie as he yearns for a Red Ryder BB gun despite the dire warnings from his parents, teacher and even a department store Santa that he will “shoot his eye out.” ACT’s show will have all the familiar elements of the 1983 movie version of “A Christmas Story” including the family’s temperamental exploding furnace, the leg lamp, the boys’ experiment with a wet tongue on a cold lamppost and more.